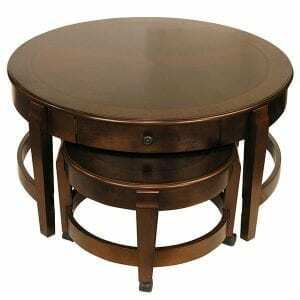 This Classic Accent table will fit with just about any decor. It can be used as an end table for a lamp, magazines or simply a place to display a floral arrangement. Made with wood veneer over medium density fiberboard w/solid wood legs and bracing.